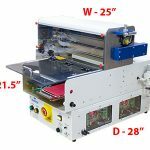 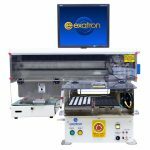 The Model 802 Table Top Test Handler offers full test functionality in a powerful small package. 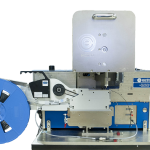 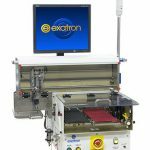 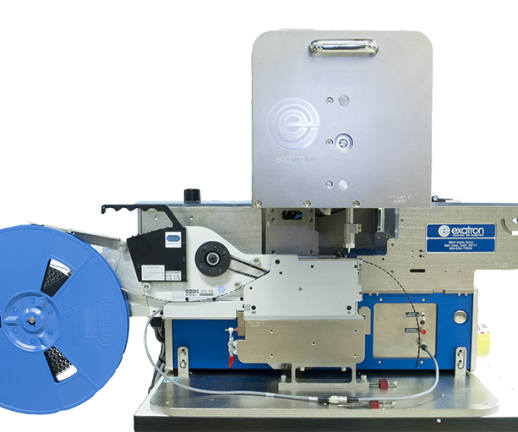 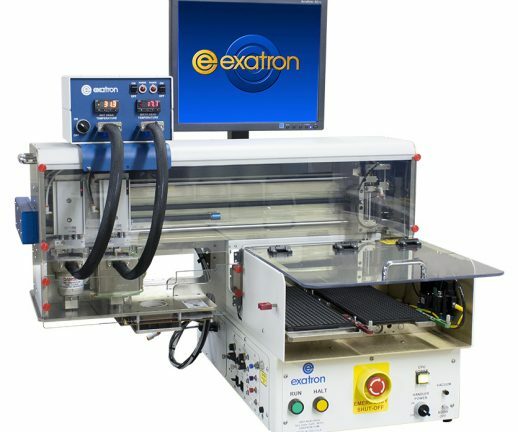 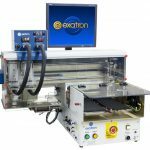 The Exatron Model 802 Table Top Single Site Test Handler is an automated bench top pick & place system ideal for engineering and the test development of IC System Level Testing (SLT). 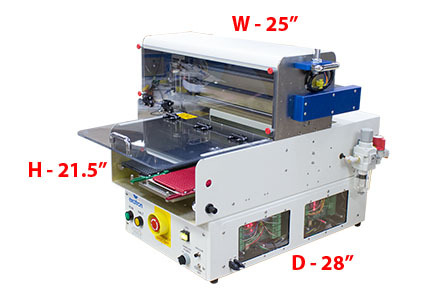 It handles a wide variety of device types and sizes ranging from 1.6 x 1.6 mm to 60 x 60 mm. 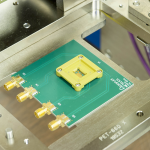 Two software allocatable JEDEC trays maximize engineering test capability, saving money and time, all within a small table space. 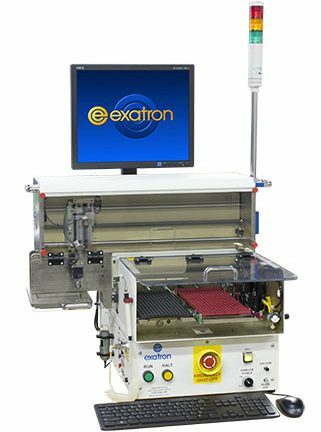 Exatron designs and manufactures all our handlers in San Jose, California. 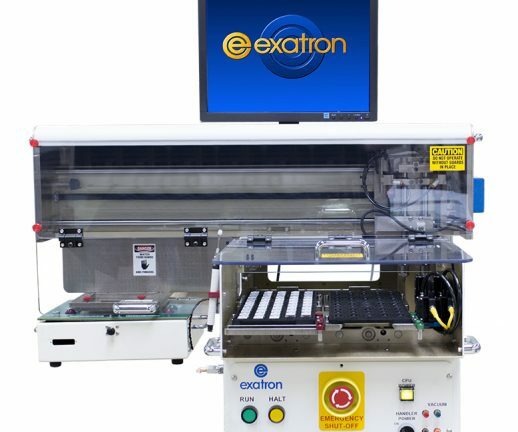 Read about the Exatron Model 802 in U.S. Tech magazine. 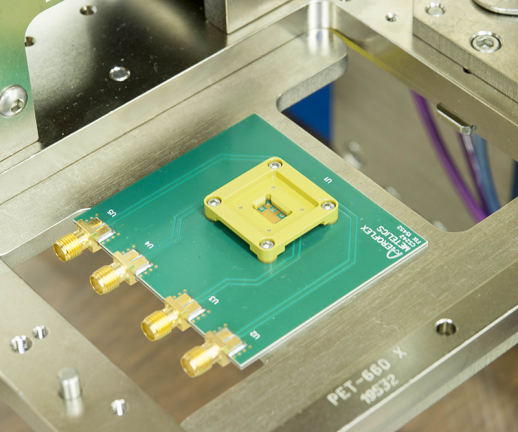 Single test site standard. 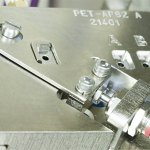 Dual sites available. 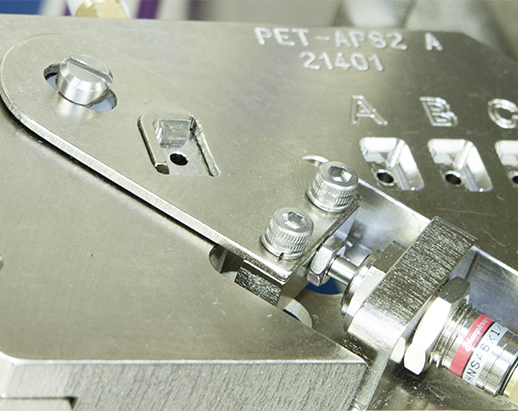 All mechanical changeover adjustments are software-controlled with standard setup.